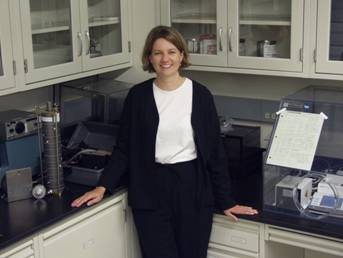 Dr. Ann Dillner is an Associate Research Engineer in the Crocker Nuclear Laboratory at the University of California – Davis. She received her Master of Mechanical Engineering degree from Stanford University and her PhD in Civil and Environmental Engineering at the University of Illinois. She went on to complete a postdoctoral fellowship at Georgia Tech. Ann is with us today to tell us about her journey through life and science. Ann’s research focuses on characterizing the chemical composition of atmospheric particles and using this information to understand different aspects of air pollution. Her lab is investigating visibility degradation with the IMPROVE group at UC-Davis which measures the concentration and composition of visibility reducing particles in all the National Parks in the United States. The lab also improves the understanding of global climate change by studying the atmospheric transformation of organic particles and their impact on regional climate. Further, the lab conducts studies on the formation of secondary organic aerosols to investigate urban and regional smog. Another major area of study for Ann’s laboratory is the effects of air pollution on health. For this focus, the lab conducts chemical characterizations of potentially toxic or carcinogenic particulate matter. The lab is developing new techniques to characterize organic functional groups using FTIR and characterize elements using high-volume sampler and ICP-MS. Ann has also recently developed a novel technique to characterize the organic fraction of particulate matter, the least understood component of particulate matter.